I would like to say thank you for my vehicle that the company send me, I love it so much its very beautiful and in excellent condition. 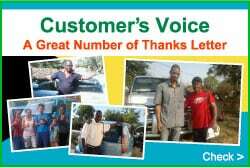 But I am happy of my Nissan Note you guys send me, Thank you again car deal group for a job well done. Thank you very much for your photo, you look very happy with your Note. Unfortunately radio frequency is different depending on the country. 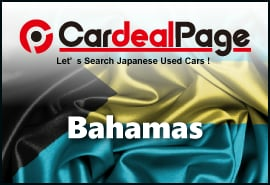 With you help I am sure we can sell more good cars to Bahamas. Please let us know if you know anyone looking for a vehicle. I will be waiting for your contact. How are you? The car arrived last week Tuesday but I didn't clear it from Customs until Monday of this week. Sorry I didn't get back to you sooner. It's been a really busy week but guess what??? I LOVE MY CAR!!! One thing the color is actually gold-ish and not silver as indicated which was a nice surprise too. there are lost of silver cars like that on the road in Nassau. I'm so happy!!! Thank you so much for all your help and the smooth process!! Thank you very much for your glowing review! I’m so glad to hear that you love your vehicle. Have fun driving your new car. And don’t forget to come back to CardealPage for your next vehicle! Age restrictions : Must be 10 years or newer. 12 years or newer for commercial cars over 3 tons. All information above is subject to change without notification. Please contact your local customs clearing agent and inquire for latest updates.